Through Peeple, users can review and comment upon people they know in real life, similar to how you'd leave a review for a restaurant or service. The app is expected to launch in beta on iOS in November. Peeple, described by many as a Yelp for people, is under development, but the yet-to-be launched app is already coming under heavy criticism. Through Peeple, users can review and comment upon people they know in real life, similar to how you’d leave a review for a restaurant or service. The app is expected to launch in beta on iOS in November. Once you login to our app you will be able to hit the search button on the bottom of your screen. From there you can enter in the name of the person you are looking for and the city they live in. If the person shows up in your search you can simply click their name and choose out of 5 stars the rating you want to leave. Then you give the rating a title and then you can type in the description as to why you are rating the person the way you did. But what if the person you want to review is not on Peeple? Well, that’s where it gets scary. If you know the phone number of the person you’re trying to review, you can create a profile for them and leave a comment. They’ll receive a text notification that they’ve got a new comment on Peeple. Can I delete comments made about me? No. You can get them removed by Peeple if it violates our terms and conditions once you report it. Can I change the comments or delete the comments that I make about people? Yes. You will at all times be able to see in one place (at the bottom of your profile under Reviews Written) all the comments you have made and edit them at any time assuming they are not more than 1 year old. What if I don’t know the person who rated me? You can use our report function and report the person to us so we can take the comment down. The person will get a notification that they rated someone that they didn’t know and will be warned to adhere to our terms and conditions. Peeple co-founders Julia Cordray and Nicole McCullough, who claim that Silicon Valley venture capitalists have raised $7.6 million for the app, have been responding to concerns about privacy and bullying. Peeple does not allow profanity, bullying or hate speech and tries to emphasize the positive. When another user makes a negative comment about you (2 stars or less) the comment does not go live right away. It goes into your inbox on the app, you will be notified, and now you have 48 hours timer to work it out with the user. If you cannot turn a negative into a positive the comment will go live and then you can publicly defend yourself. On the app’s Facebook page (which mainly has been posting glowing reviews from people who have yet to use the app), Peeple claims to have thousands of people signed up for a beta test in November. It’s important to note that the app could drastically change from now until an official launch. There’s a lot of misunderstandings of the way the app actually works. We have more integrity features and more accountability features built in than most online ratings systems today. I can appreciate, when people found out the world was actually round and not flat, and that we revolved around the sun instead of the sun revolving around us, there was tons of fear and uproar. We need to keep in mind that with any new concept and any new idea, there’s always going to be some fear and some concern. 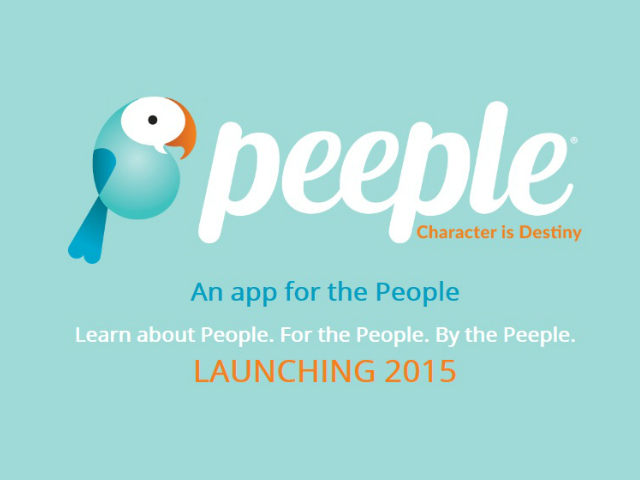 Readers: Would you be interested in trying Peeple?